You have decided to start using barcodes in your small business. Perhaps you heard how easy it is to implement, or maybe you have seen it firsthand with other businesses. The ability to track inventory more accurately is appealing, and a faster checkout experience will increase customer satisfaction. Overall, the benefits of choosing a barcode system outweigh the upfront expenses. The next question is this: where does one start? If you are a business owner in the market for a barcode printer, here are a few questions that you should ask yourself and your supplier when looking at options. 1. Is the Desired Barcode System Compatible with Existing Hardware? If you choose a mainstream barcode system like Shopify, it is more likely to be compatible with whichever hardware you are currently using. The company maintains an extensive list of all compatible models so that a business may be confident that everything will work together. In the event that your existing hardware is not compatible, consider whether it will be more cost-effective to upgrade everything at once. 2. What is Required to Print Barcode Labels? Each product will have specific requirements for use. The Dymo LabelWriter 450 is a popular option due to its versatility. It connects to any PC or Mac through a USB and can print up to 51 labels per minute. It uses thermal technology to print on special paper and does not require ink or toner. Special label paper is the only recurring purchase need and is available in multiple sizes. 3. What are the Size Restrictions for Barcode Labels? For the internationally-recognized UPC barcode system, it is important to print a barcode that meets the standard measurement and dpi requirements. Otherwise, there is a lot of flexibility for most barcode systems. Of course, the size of your printer will limit some printing options. However, most businesses choose to print something smaller than standard, rather than larger, to save on ink and paper. For most purposes, a barcode less than half an inch is generally difficult to scan. 4. Can the Printer Handle Other Print Jobs? If your company needs to print other materials, such as shipping tags, compliance labels, or other similar materials, it is beneficial to choose a printer than can handle those as well. On the other hand, when these items are not part of daily business, it is impractical to spend more on a barcode printer that provides a service you do not need. 5. How Durable are the Printed Barcode Labels? Although traditional laser printers are still readily available, a newer technology method is becoming increasingly popular for business labels and receipts. Labels printed with ink can smudge, but those created with thermal technology can also degrade. Thermal printing works through a chemical reaction. Direct thermal printers use a heating element to effect chemically-coated paper. 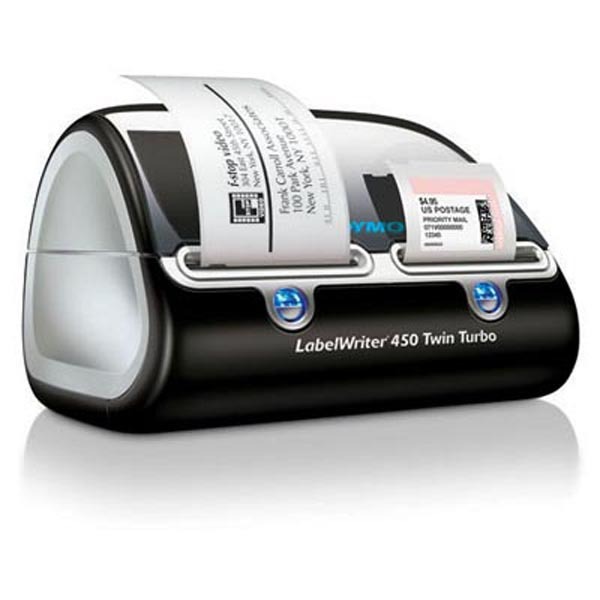 Thermal transfer printers use basic labels and inked ribbon. It is important to find out which method is most appropriate for your business needs. 6. How Accurate and Reliable Are Printed Barcode Labels? Most shoppers know the frustration of a product that does not want to scan at the checkout. It is important to avoid this awkward error, and some label printers do a better job of it than others. Barcodes work by using binary coding to create a series of black bars and white spaces. On either end are start and stop codes. For a scanner to be able to read a barcode, there must be an area of blank space next to those codes. Barcodes also include a line of human-readable numbers along the bottom, in the event that a scanner cannot read the code. Most often, a code must be printed at a minimum size for it to work accurately. Adding barcode technology to your point-of-sale system can enhance your business. For e-commerce shops, it can also be helpful for managing inventory and tracking sales records. Businesses that sell in a physical store as well as online may find that the barcode system makes it simple to integrate information between the two, rather than relying on employees to manage the transfer of information. This can free up business time, financial resources, and increase revenue. It is important to shop around before purchasing a barcode system to ensure that it meets your needs. Shopify offers a compatible barcode printer and scanner system that coordinates with its well-loved POS and e-commerce business solutions. The device is flexible, mobile, and comes with reliable customer support to assist with setup, employee training, and troubleshooting and problems that may arise over time. For businesses already using this system, the addition is practical, and for those who are not, it may be worthwhile to consider making the switch to a new system altogether.